I was recently contacted by the lovely Stephanie from Irelands & the UK's best selling fake tan company - Cocoa Brown by Marissa Carter! Now I am not one to fake tan or have I ever fake tanned - I have naturally olive skin, which turns a beautiful bronze in the summer months with only a little sun action! (lucky me!!) - However Cocoa Brown also produce tan prep and maintenance products too! So I decided to have a play with those products instead! Now let me start off by saying THIS STUFF SMELLS AMAZING and apparently their 1hr tanning mousse has the same amazing Tahitian Gardenia smell. I have heard that some fake tanners can leave and/or are horrible smelling - (as I said - non tanner here!) 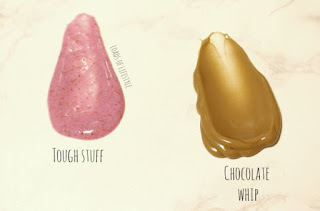 Then the Chocolate Whip goes and adds a little bit of a chocolate to that Tahitian Gardenia scent, (which you would think it would be quite an overpowering combination) but they have achieved a great balance between the two! 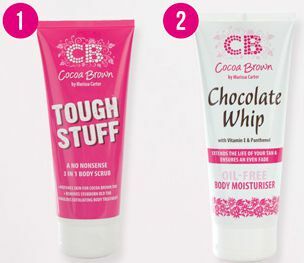 Cocoa Brown say that it's to prep your skin for tanning, removes any stubborn leftover tan, and is an all over body exfoliant! Cocoa Brown say it is used to extend the life of your tan, and ensure an even fade plus keep your body nice and moisturised! 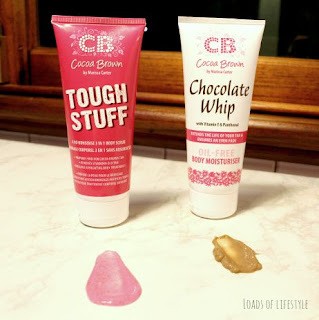 You can purchase both of these great products off the Australian Cocoa Brown website. I'm actually not using products for tanning, but thanks for sharing your thoughts, hun. 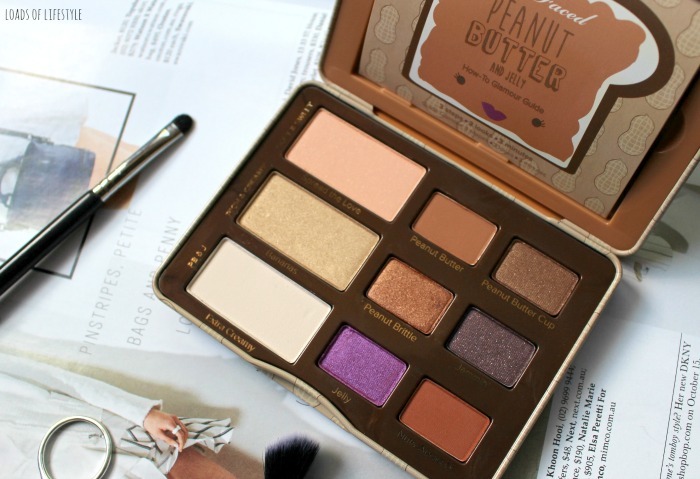 This is absolutely a must try for those lovelies who love to fake tan, I bet!